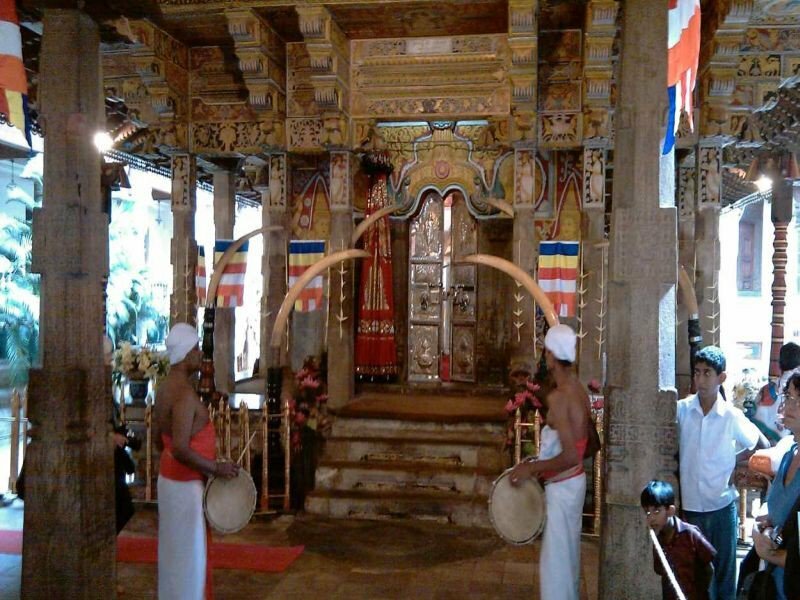 Sri Lanka Short Tour Package to Pinnawala Elephant Orphanage, Kandy, Sigiriya and Dambulla. 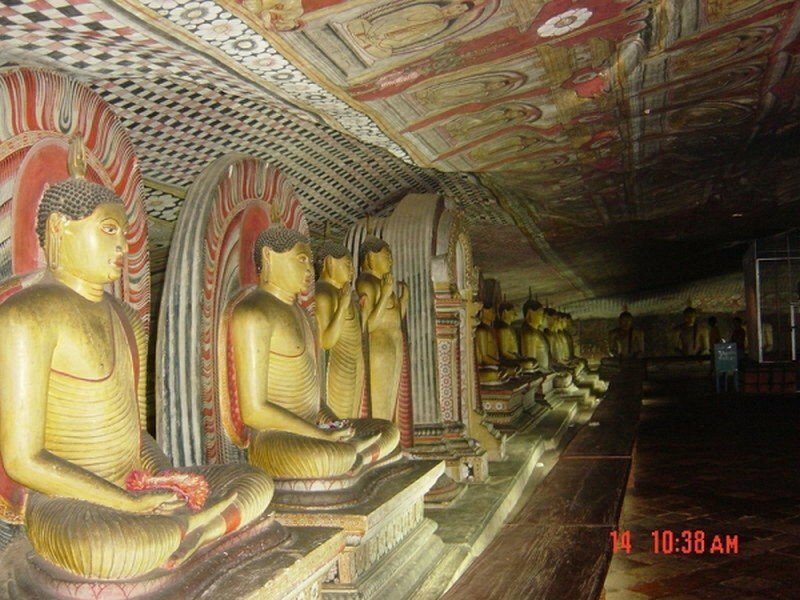 Visit the Elephants in Pinnawala, the Temple of the Tooth in Kandy, climb the famous Sigiriya Rock and visit the Golden Temple of Dambulla in this 2 day short tour package. Early morning at 6:30, We leave for Kandy, On the route we stop at a Pineapple garden, after this visit we proceed to the Elephant Orphange in Pinnawala. Around 9:15 start the feeding time, The Baby Elephants getting their milk, Around 10:00 the Elephants going for a bath in the river. we proceed to the Elephant riding place, there you can ride on a Elephant through the jungle. After this visit we proceed to Kandy, We will visit a spice and herbal garden. After that visit we going to the Botanical garden, make a visit to the Kandy Temple, Dalada Maligawa Temple of the Tooth, we visit the gem museum, see a batic factory, silk factory. After breakfast we leaving for Sigiriya, on the way we wil stop at the Hindu Temple in Matala.We drive to Sigiriya, Sigiriya (Lion's rock) is an ancient rock fortress and palace ruin, We start climbing the rock. 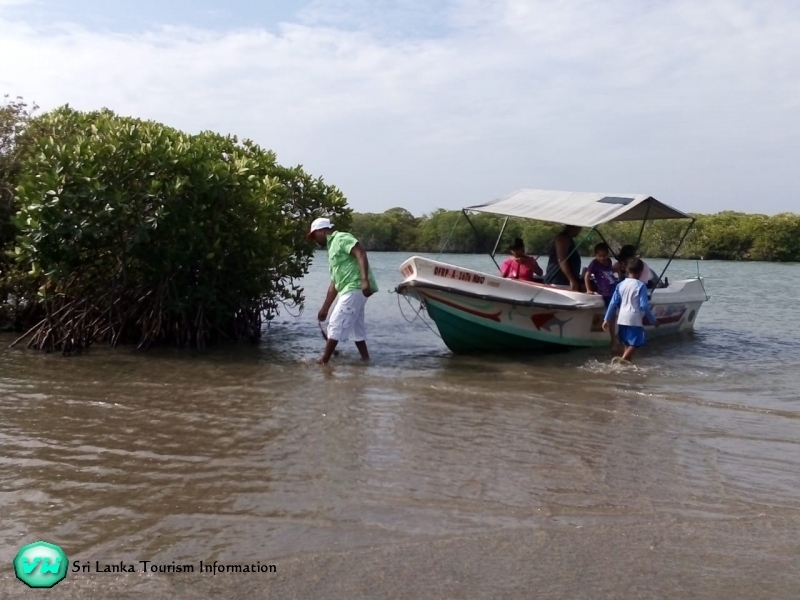 after we are back from the top of the rock, We proceed to Dambulla, see the Sri Lanka’s biggest vegetables market in Dambulla, site seeing through the City, and proceed to the Dambulla Caves. Dating back to the 1st century BC, this is the most impressive cave temple in Asia. It has five caves under a vast overhanging rock, carved with a drip line to keep the interiors dry. In 1938 the architecture was embellished with arched colonnades and gabled entrances. Inside the caves, the ceilings are painted with intricate patterns of religious images following the contours of the rock. There are images of the Lord Buddha and bodhisattvas, as well as various gods and goddesses. After this visit we go back to your Hotel. Excellent Tour, Driver and Service! We come to sri lanka for a short time and dont want to stay all the time on the beach. We found PL Tours and Travels everything was arranged with a couple of mails up and down. Quick answered by William. Dinesh our driver was on time and very kind. If you want to take a picture or buy something along the road he was always smiling and stop the car where you want..Hotel was clean and the staff very friendly..Highly recommended this tour and PL Tours and Travels.